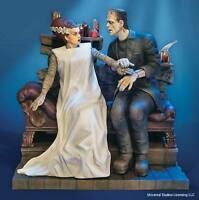 I remember those chilled Fall evenings sitting at the kitchen table with a cool monster model and assembling it like a young Dr. Frankenstein! This mode will certainly bring back those childhood memories! I am happy to find so many of these on Ebay to recreate my collection! He was, and now he is not. Locked up for who knows what, this was a man, and now he has been forgotten in the dungeon. Great retro kit for the original molds. I built this back in the day, but as life moves forward, childhood items get lost. So glad to be able to rebuild this fun kit. Kit is still well made and parts fit together very well. A great kit for 10+ to get into "Fright" models. I had one of these models as a kid but lost it. Now I have it once more to enjoy again!